Trailers of the Week: Game of Thrones, Fast & Furious 7, Magic Mike XXL and Daredevil. Watch them at What Hi-Fi? | What Hi-Fi? 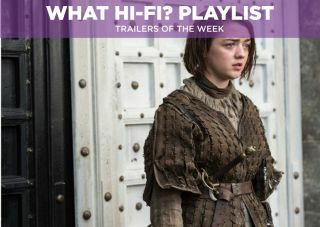 Don't forget to check out our dedicated Twitter account @WHFPlaylist for all our Playlist reviews of music, movies, TV shows and games, the latest news and the occasional competition for some shiny prizes. Winter is still coming to the land of Westeros and Essos… we think. But the scenes in this trailer appear to take place in sunnier climes, so perhaps winter has been postponed? With this season expected to progress ahead of George R.R. Martin's books, we can't wait for this fifth series to start. Just when you thought this franchise couldn't get any more ridiculous… we clap our eyes on this trailer. You'll find him in this week's Jupiter Ascending but, later this year, he'll be strutting his stuff as he reprises the role of 'Magic Mike" in the sequel to 2012's smash hit. The Man with No Fear will be Marvel/Netflix's attempt at bringing superhero hijinks to the small screen. This trailer suggests a more brutal and low-fi take on the character, but will it work?